If there was an “Unsung Hero” award for dental procedures, the root canal treatment would win hands-down. Much aligned in popular culture, today’s root canal treatment is actually a valuable tool for saving teeth that would otherwise be lost. And contrary to popular belief, root canal treatments don’t cause pain — they relieve it. 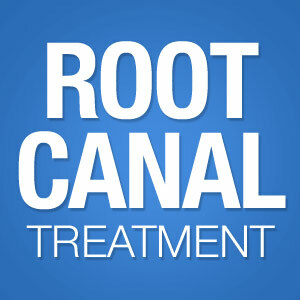 To help you understand its true worth, here are some common questions and answers about the root canal treatment. What problem does a root canal treatment fix? A root canal treatment stops a bacterial infection that has invaded the innermost part of a tooth — the pulp — and is advancing toward the end of the root through small passageways known as root canals. Most people first notice the problem as a sharp pain in the affected tooth that may suddenly dissipate in a few days. The infection has attacked the inner pulp tissue, rich in nerve fibers; when the nerve fibers die they stop sending pain signals. The infection, however, hasn’t died: as it advances, you may then begin to experience pain when you bite down or when you encounter hot foods. You may also notice tenderness and swelling in nearby gums. How does the procedure stop the infection? A root canal treatment removes all the infected or dead tissue and cleanses the pulp chamber. We enter the pulp chamber through a small access hole created in the tooth’s biting surface. After tissue removal, we then “shape” and prepare the empty chamber and root canals (often with the aid of microscopic equipment) to be filled with a special filling. After filling, the tooth is then sealed to prevent re-infection (most often, we need to install a permanent crown at a subsequent visit for maximum protection). How much pain can I expect during and after the procedure? During the procedure, none — the tooth and surrounding gums are fully anesthetized before we begin the procedure. Afterward, you may experience mild discomfort for a few days that can be relieved with over-the-counter medications like aspirin or ibuprofen. What’s the ultimate value for a root canal treatment? The procedure can save a tooth severely damaged by the infection. Even covered by an artificial crown, a living tooth continuing to exist and function normally within the mouth is usually more conducive for optimum oral health than an artificial tooth replacement.